Are there any other Nightcrawlers with this same die crack? The answer to that would be "No! "....Because, it is not a die crack....it is a struck thru string, thread or hair. 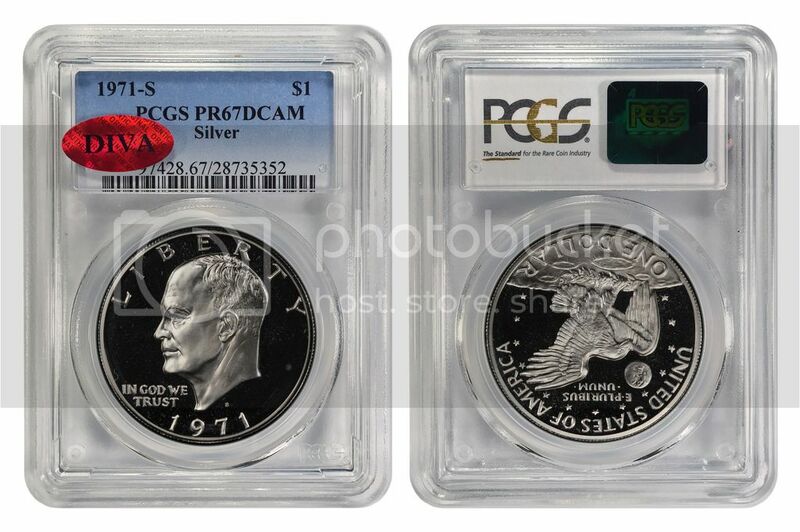 You could probably get it attributed as such is you mention it on the PCGS order form when/if you decide to send it in for the PCGS restoration service to remove that "spot". Of course you'll also have to pay for the "Mint Error" designation. Might be worth it, as you'll have the only designated "Mint Error" Nightcrawler. Hopefully, it will upgrade as well from the restoration. Whether you decide to get it restored or error designated or not....You still own the only known "Stuck Thru Mint Error" Nightcrawler. It's all packed up and will ship out tomorrow. Thanks for the info, Brian. I just assumed it was a die crack. Interesting that this coin has both a hubbed-through inclusion AND a struck-through error. Looking forward to getting it. I will contemplate sending it back in, but I would rather wait to see if it gets added to the CPG. I would like for this to eventually end up in a new slab with "Nightcrawler" on the label. We'll see. I have another observation regarding the "spot" on the obverse. When I view this spot on the full size TrueView image, I can see what looks like the outline of a star. I know it's probably just me seeing things, but what is your take on it? I think it's just a spot.....Not the right distance from the rim to be a star. I found a nightcrawler in my mailbox today. I'm glad to finally own what is, in my opinion, the best of all Ike varieties. So what is our known population of Nightcrawlers now? Anyone know or care to take a guess? Irish2ice wrote: So what is our known population of Nightcrawlers now? Ahhhhhhhhhhh..... no, that can't go in. Sorry I just realized why not. It has the old DIVa sticker on. It needs to have a new one. That's the only way Steve and I can officially keep track of the current "official" DIVa system. I know, it stinks, but without it we're flying totally blind on what got the old red stickers, how many, what specific cert numbers, etc. Contact either one of us to help you out.